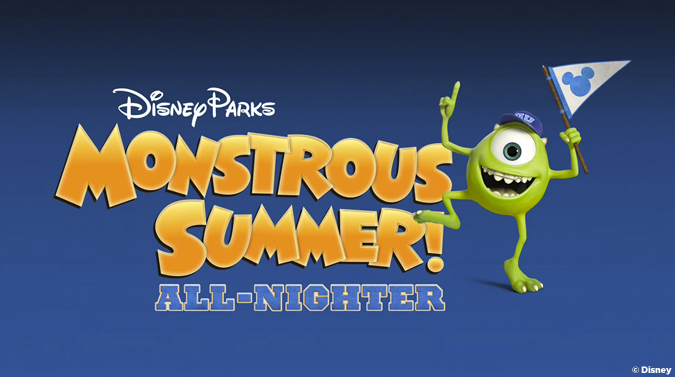 On May 24, 2013, to celebrate the release of the Pixar film Monsters University, the three American Disney Parks held an event called “Monstrous Summer,” where the parks were open for a full 24-hours of fun and exciting events. There were limited pieces of merchandise available only during this event, along with special character greetings, parades, and dance parties. A distinctive nighttime spectacular called “Celebrate the Magic” also began during this celebration, and lasted all summer, lighting Cinderella’s Castle with summer-themed images from Disney movies Lilo and Stitch and The Little Mermaid, with a few others. Sweet monster-themed treats were available as part of the celebration, including a Mike Wazowski cake-pop. Posted in Uncategorized and tagged 2010s, Attraction, Disney Event, Disney Park, Popularity, Special Event, Walt Disney World. Bookmark the permalink. On May 23, 1997, the nighttime street show Light Magic began its run in Disneyland, replacing the Main Street Electrical Parade. Much like its predecessor, Light Magic was a show presented on four floats, each 80 feet long and 11 feet wide, and featured lights, special effects, and, of course, Disney characters. The show began between the “it’s a small world” attraction and the Matterhorn, and made its way down Main Street. It ended its run on September 1, 1997. Posted in Uncategorized and tagged 1990s, Disney Park, Nighttime Show, Parade. Bookmark the permalink. 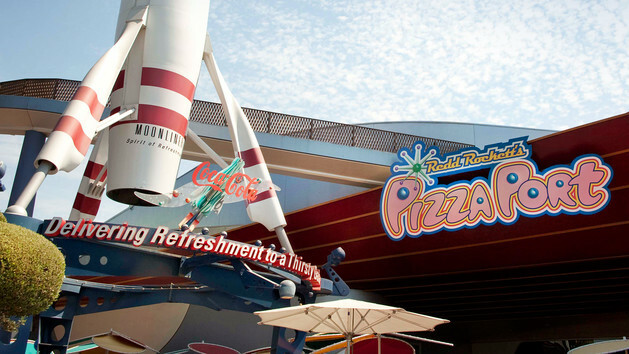 On May 22, 1998, the quick-service restaurant Redd Rockett’s Pizza Port opened in Disneyland’s Tomorrowland. The restaurant was built in the location of the former attraction Mission to Mars, and retains some of the area’s early elements, including original posters of past Tomorrowland attractions, and a replica of the original Moonliner rocketship. Guests can stop at one of three stations for food: pizza, pasta, and salads, with menus featuring Orion Hawaiian Pizza and Countdown Chicken Fusilli. Posted in Uncategorized and tagged 1990s, Disney Park, Quick Service, restaurant. Bookmark the permalink. 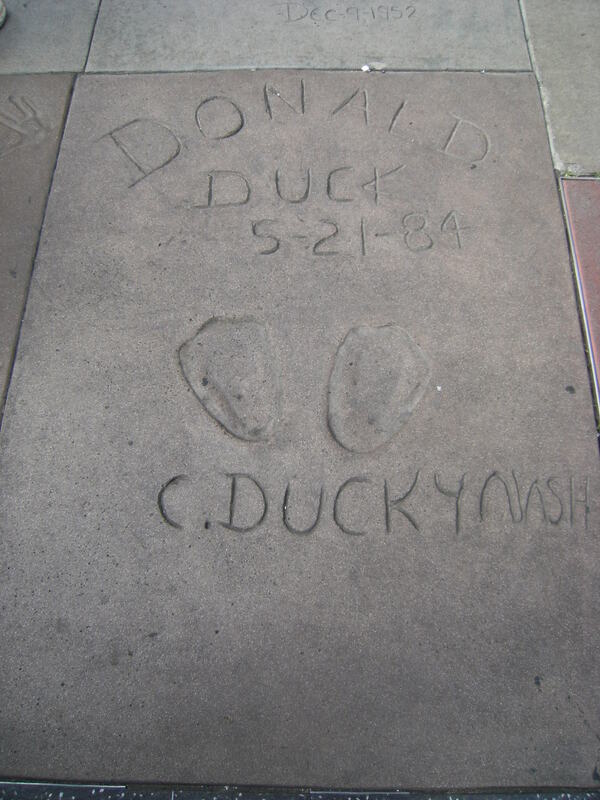 On May 21, 1984, Clarence “Ducky” Nash, original voice of Donald Duck, and the character himself were on hand at a special ceremony honoring Nash at Grauman’s Chinese Theater, where Nash placed Donald Duck’s footprints in cement. Nash’s ceremony was the 150th ceremony held by the landmark theater, and coincided with the celebrations of Donald Duck’s 50th birthday. At the time, Nash had mostly retired from voicing the character, but joined in the festivities of the year honoring the character he brought to life. Posted in Uncategorized and tagged 1980s, Character, Donald Duck, Honor, Popularity, Voice Actor. Bookmark the permalink. On May 20, 1996, the Fantasia Gardens Miniature Golf and Garden Pavilion opened in Walt Disney World, near the Swan and Dolphin hotels. 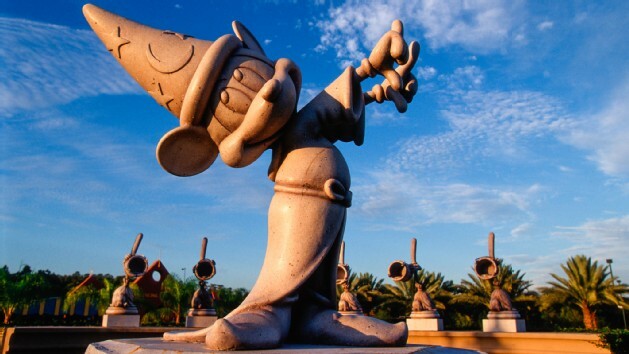 The miniature golf course features scenes from the animated feature film Fantasia, including the two most well-known segments: The Sorcerer’s Apprentice and Dance of the Hours. The pavilion holds two 18-hole courses, along with a putting course and a meeting facility. The course is located close enough to Hollywood Studios that guests are able to have a great view of the Tower of Terror attraction. Posted in Uncategorized and tagged 1990s, Attraction, Disney Park, Feature Film, Walt Disney World. Bookmark the permalink. 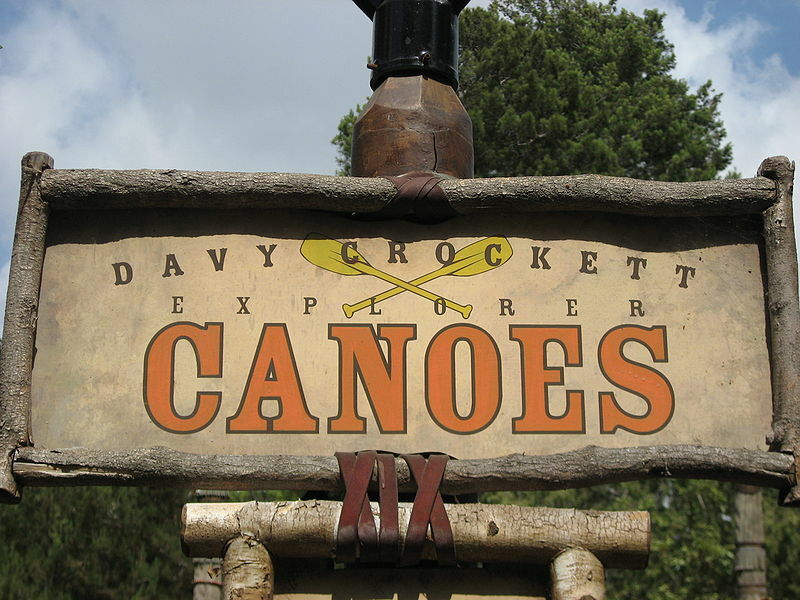 On May 19, 1971, the Critter Country attraction Davy Crockett’s Explorer Canoes opened. Originally a Frontierland attraction called Indian War Canoes, the attraction was closed in 1971 and moved to Critter Country. The dock of the attraction has moved several times due to the natural changes of the banks of the Rivers of America. This is one of the only attractions that requires a large amount of guest participation, as guests must use the paddles to move the 35-foot long canoes around Tom Sawyer Island. The Disneyland version has been replicated in other parks, including Walt Disney World (the attraction closed in 1993) and Tokyo Disneyland (the attraction was renamed the Beaver Brothers Explorer Canoes in 1992). Posted in Uncategorized and tagged 1970s, Attraction, Disney Park, Interactive Attraction. Bookmark the permalink. 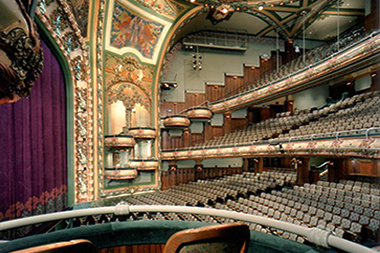 On May 18, 1997, the historic New Amsterdam Theater reopened after it was leased and renovated by the Walt Disney Company. It was once the home of the Ziegfeld Follies, a popular review that featured some of the greatest artist of the time, including Fanny Brice, Ed Wynn, and W. C. Fields. The theater was closed in 1936, as Broadway was hit hard by the Great Depression, but was reopened in 1937 and converted as a movie theater. In 1982, the property was bought by the Nederlander Organization, but as they could not renovate and restore the building for eight years, the State of New York resumed ownership after a lengthy court battle. Disney began its bid for the property in 1993, signing a 99-year lease. After a lengthy restoration period, the theater was reopened with a world premiere concert of Alan Menken and Tim Rice’s King David that had a limited run of only nine performances. Soon after, the Broadway show The Lion King began performances there, before it was moved to the Minskoff Theater on June 13, 2006, and Mary Poppins took its place until its closing on March 3, 2013. Currently, the new Broadway show Aladdin runs in the theater. The New Amsterdam is considered to be the flagship theater for all Disney-related Broadway productions. Posted in Uncategorized and tagged 1990s, Broadway, Disney Theatrical, Music, Musical. Bookmark the permalink.